#1 New York Times bestselling author and master of horror Stephen King teams up with Bev Vincent to present a terrifying collection of short stories that tap into one of King's greatest fears - air travel - featuring brand-new stories by King as well as Joe Hill, in addition to fourteen classic tales and one poem from the likes of Richard Matheson, Ray Bradbury, Roald Dahl, and Dan Simmons. Welcome to Flight or Fright, an anthology about all the things that can go horribly wrong when you're suspended six miles in the air, hurtling through space at more than 500 mph and sealed up in a metal tube (like - gulp! - a coffin) with hundreds of strangers. All the ways your trip into the friendly skies can turn into a nightmare, including some we'll bet you've never thought of before ... but now you will the next time you walk down the jetway and place your fate in the hands of a total stranger. Featuring brand new stories by Joe Hill and Stephen King, as well as fourteen classic tales and one poem from the likes of Richard Matheson, Ray Bradbury, Roald Dahl, and Dan Simmons, Flight or Fright is, as King says, "ideal airplane reading, especially on stormy descents... Even if you are safe on the ground, you might want to buckle up nice and tight." This terrifying new anthology will have you thinking twice about how you want to reach your final destination. 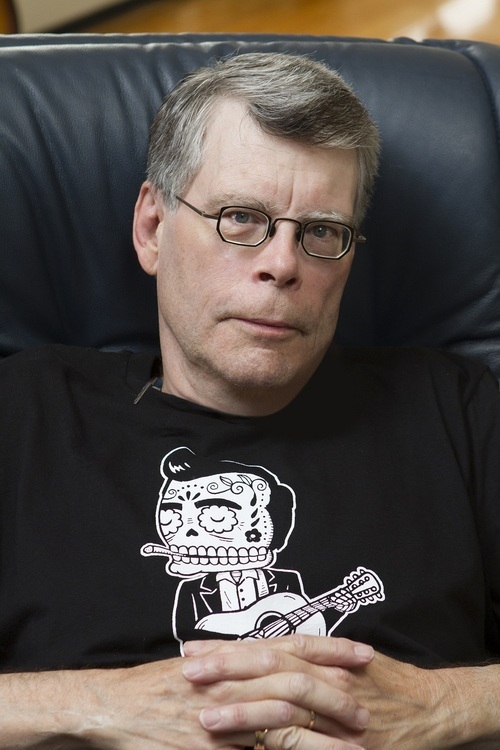 Stephen Edwin King was born the second son of Donald and Nellie Ruth Pillsbury King. After his father left them when Stephen was two, he and his older brother, David, were raised by his mother. Parts of his childhood were spent in Fort Wayne, Indiana, where his father's family was at the time, and in Stratford, Connecticut. When Stephen was eleven, his mother brought her children back to Durham, Maine, for good. Her parents, Guy and Nellie Pillsbury, had become incapacitated with old age, and Ruth King was persuaded by her sisters to take over the physical care of them. Other family members provided a small house in Durham and financial support. After Stephen's grandparents passed away, Mrs. King found work in the kitchens of Pineland, a nearby residential facility for the mentally challenged. Stephen attended the grammar school in Durham and Lisbon Falls High School, graduating in 1966. From his sophomore year at the University of Maine at Orono, he wrote a weekly column for the school newspaper, THE MAINE CAMPUS. He was also active in student politics, serving as a member of the Student Senate. He came to support the anti-war movement on the Orono campus, arriving at his stance from a conservative view that the war in Vietnam was unconstitutional. He graduated in 1970, with a B.A. in English and qualified to teach on the high school level. A draft board examination immediately post-graduation found him 4-F on grounds of high blood pressure, limited vision, flat feet, and punctured eardrums. He met Tabitha Spruce in the stacks of the Fogler Library at the University, where they both worked as students; they married in January of 1971. As Stephen was unable to find placement as a teacher immediately, the Kings lived on his earnings as a laborer at an industrial laundry, and her student loan and savings, with an occasional boost from a short story sale to men's magazines. Stephen made his first professional short story sale ("The Glass Floor") to in 1967. Throughout the early years of his marriage, he continued to sell stories to men's magazines. Many were gathered into the collection or appeared in other anthologies.In the fall of 1971, Stephen began teaching English at Hampden Academy, the public high school in Hampden, Maine. Writing in the evenings and on the weekends, he continued to produce short stories and to work on novels.